A vigil was held Saturday for 19-year-old Austin Salinas who was killed in Wednesday's shooting in Beeville. 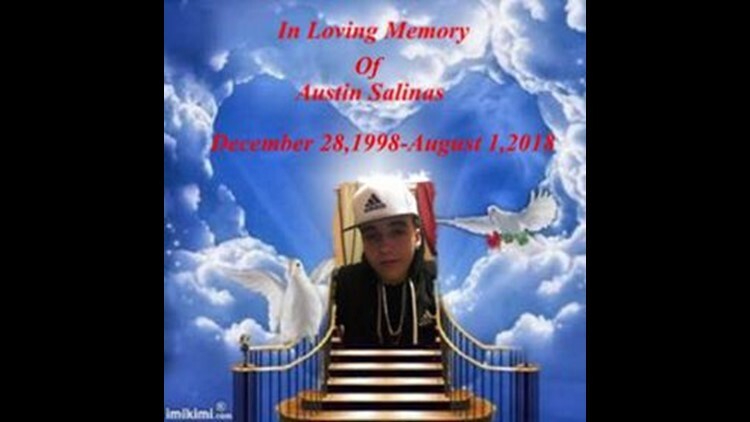 BEEVILLE (Kiii News) — A vigil was held Saturday for 19-year-old Austin Salinas who was killed in Wednesday's shooting in Beeville. Police say five people were detained at the scene and two suspects were arrested: 36-year-old Greg Bohac and 19-year-old Cameron Lerma. As the investigation continues, friends and family continue to mourn for the young man. There's still no motive known for the shooting, but police say Salinas may have known his alleged killers. A viewing will be held Monday at the Trevino Funeral Home starting at 5 p.m, followed by the funeral at 7 p.m.